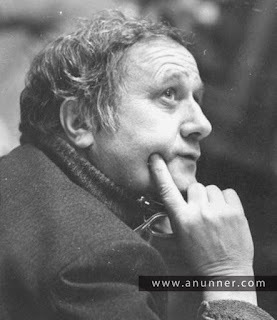 Henrik Malian, one of the most popular filmmakers in Soviet Armenia from the 1960s, was born in Telavi (Georgia) on September 30, 1925. After working during his teens as a draftsman at the aviation factory of Tbilisi (1942-1945), he moved to Yerevan. Here he studied at the Institute of Art and Theatre of Yerevan, in the section of direction, from 1945 to 1951. He continued his graduate studies in Moscow, where he finished courses of film and theater direction at the State Institute of Theatrical Art “Anatoli Lunacharsky” in 1953. Malian’s career started in 1951 as a director in theaters of various towns of Armenia (Artashat, Kirovakan, Ghapan) and on television. In 1954 he entered Armenfilm, the cinema studios, where he was first an assistant director and, since the 1960s, a director. In 1961-1962 he spent a year at the Mosfilm studios, where he studied with two noted Soviet directors, Mikhail Kalatozov (Kalatozishvili) and Sergei Bondarchuk. Malian’s first films were of a genre that mixed lyricism and comedy, such as The Guys of the Orchestra (1960), Road to the Circus (1963), and Monsieur Jacques and Others (1964). His breakthrough came with The Triangle (1967), one of his best films, which was crucial for the creation of a poetic style in Armenian cinema. The film was endowed with immediacy and a delicate taste for direction, with a powerful artistic discourse. He won the State Award of Armenia in 1975 for this film. Malian characterized his films by the election of apparently minimal subjects, which he later turned into meaningful, psychologically deep generalizations. The fate of his heroes, their thoughts and experiences were linked to the events of their time. Such was the case of his next works: We Are Our Mountains (1969), Father (1972), and especially Nahapet (1977), which was released in the United States as Life Triumphs. The latter, for which he wrote the screenplay on a short novel by Hrachia Kochar, touched for the first time in Armenia the relatively taboo subject of the Armenian Genocide through the lenses of a survivor and his attempt to rebuild life after the catastrophe. Malian became People’s Artist of Armenia in 1977 and People’s Artist of the Soviet Union in 1982. He also wrote and directed A Piece of Sky (1980), a reconstruction of life in pre-genocide Kharpert, based on a fragment of Vahan Totoventz’s memoir Life on the Ancient Roman Road . He would still write several films in the 1980s, such as Gikor (1982, based on Hovhannes Tumanian’s short story) and White Dreams (1985, also based on another episode of Totoventz’s memoir), and direct and write A Drop of Honey (1984, also based on a short story by Tumanian). Yearning (1990), the first film to address Stalin’s repression, was posthumously filmed, on a screenplay written by Malian and Ruben Hovsepian (based on another short novel by Hrachia Kochar). Henrik Malian was not only a director, but also a long-time teacher. He taught at the Khachatur Abovian Pedagogical Institute (now University) from 1971-1988, and was chair of Direction and Master Acting from 1975 on. He was a professor at his alma mater, the Institute of Art and Theater, from 1982 to 1988. In 1980 he founded and directed the Theater-Studio for Film Actors, which was renamed after him in 1988. He passed away prematurely, at the age of 62, on March 14, 1988, in Yerevan. The Henrik Malian Theater Studio is now directed by his daughter, the actress Narine Malian. 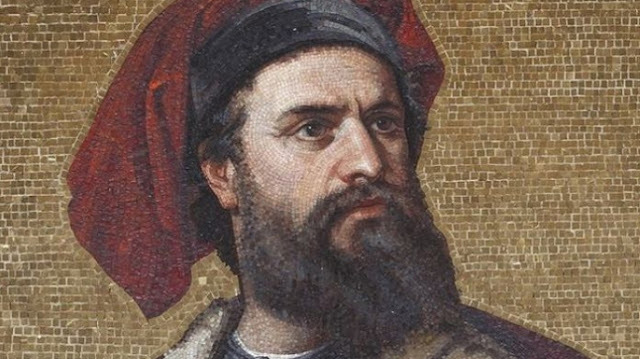 Marco Polo, the Venetian merchant and traveler, was most famous for his travel through Asia in the thirteenth century, including his description of the mysterious and impenetrable China. He first visited Cilicia and Greater Armenia, about which he left some very interesting pages. His date of birth and place are disputed, but conventionally it is considered that Polo was born in Venice on September 15, 1254. His father and brother were merchants who traded with the Near East and acquired great prestige and wealth. In 1260 they foresaw a forthcoming political change and timely left Constantinople, capital of the short-lived Latin Empire, established by the Fourth Crusade in 1204. A year later, Michael VIII Paleologos, occupied the city and re-established the Eastern Roman Empire, with the Venetian quarter burned and captured Venetian citizens blinded in revenge. Marco spent part of his childhood in Venice, where he was raised by an aunt and uncle, since his mother had passed away early, and receive a good education. In 1269 his father and uncle returned from a travel to China and set off back in Asia with young Marco Polo, then seventeen, in 1271. The story of their travels and deeds would be documented in his Livres des merveilles du monde ( Book of the Marvels of the World, also known as The Travels of Marco Polo ) three decades later. They returned to Venice in 1295, after having traveled almost 15,000 mile and gathered many riches. Polo armed a galley to participate in the ongoing war of the republics of Venice and Genoa. He was captured in a naval skirmish in 1296, and spent several months of his imprisonment dictating a detailed account of his travels to a fellow inmate. Rustichello da Pisa, a professional writer, incorporated tales of his own and other collected stories. The book depicted the three Polo travelers’ journeys throughout Asia, with a first European comprehensive look into the Far East, including China (Cathay) and Japan (Cipango). Marco Polo was released from captivity in 1299 and returned to Venice. The Polo family company continued its activities, and Marco became a wealthy merchant. His father died in the meantime, and he married the daughter of a fellow merchant. They had three daughters. The famous traveler passed away on January 8 or 9, 1324, after a long illness. He was buried in the Venetian convent of San Lorenzo. His work would be widely read and translated in the following centuries. It would inspire Christopher Colombus in his quest for going to Asia by the west. “This is a great country. It begins at a city called Arzinga [Erzinga], at which they weave the best buckrams in the world. It possesses also the best baths from natural springs that are anywhere to be found. The people of the country are Armenians. There are many towns and villages in the country, but the noblest of their cities is Arzinga, which is the See of an Archbishop, and then Arziron [Erzerum] and Arzizi [Arjesh]. The country is indeed a passing great one… At a castle called Paipurth [Papert], that you pass in going from Trebizond to Tauris [Tabriz], there is a very good silver mine. Father Nerses Akinian was one of the most prolific and renowned names of Armenian philology in the first half of the twentieth century. He was born Gabriel Akinian on September 10, 1883, in Artvin, an area in northeastern Turkey that was part of the Russian Empire at the time. He was sent to the Mekhitarist seminary of Vienna at the age of twelve, in 1895, and entered the Viennese branch of the congregation in 1901 when he was anointed a celibate priest and renamed Nerses. He followed the courses of the University of Vienna, where he studied Greek, Latin, and Syriac, history of Greco-Roman and Byzantine culture, philosophy, and theology. After graduation in 1907, he would have a wide number of functions in the Mekhitarist Congregation for the next decades. He was first a teacher at the seminary (1907) and later its deputy principal (1908-1911) and principal (1916-1920). Along his educational tasks, from 1909 until his death Fr. Nerses Akinian was also the head librarian of the Vienna monastery and the editor, with intermittencies, of Handes Amsorya, the Armenian Studies journal of the Viennese branch of the Mekhitarists. 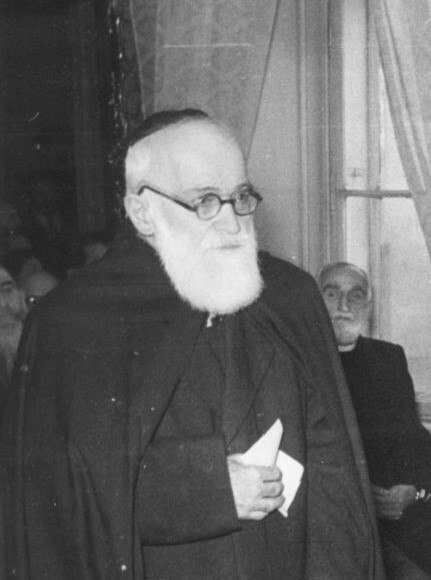 He became a member of the general board of the congregation in 1931 and superior of the monastery from 1931-1937. From the very beginning, Akinian passionately pursued historical studies, following the general orientation of the Viennese Mekhitarists, and researched the whole extent of Armenian history and literature with German-like rigorousness and method. He was an indefatigable traveler, and would go to many countries to study Armenian culture and gather thousands of Armenian manuscripts and printed books for the library of Vienna. In 1912 he represented the Mekhitarists of Vienna at the consecration of Catholicos Gevorg V Sureniants (1911-1930) and traveled to his birthplace, Artvin, and Eastern Armenia, where he visited Ani, Garni, Geghard, and other ancient places. During World War I, he collected money to help the refugees of the Armenian Genocide, as well as Armenian war prisoners in Germany and Austria. In 1924 Fr. Akinian was assigned to pastoral mission in Soviet Armenia and he would also visit Moscow, Nor Nakhijevan (Rostov-on-the-Don), Batumi, Tbilisi, and Lvov. This gave him the opportunity to visit ancient monuments and research collections of ancient Armenian manuscripts, particularly in Armenia, where he worked at the collection of Holy Etchmiadzin (which would be later moved to Yerevan and became the basis for the collection of the Matenadaran). In 1929 he was arrested, suspected of being a foreign spy, and forced to leave Armenia after a forty-day imprisonment. He went back to Vienna and continued his studies in different cities of Western Europe, including Berlin, Munich, Tubingen, Paris, Rome, and Livorno. In 1939 he went to the Middle East, but remained stranded in Beirut for the next seven years due to World War II. He spent his time teaching at the local Mekhitarist School and studying available Armenian manuscripts. He returned to Austria in the fall of 1946 and spent his last years in Vienna. In 1954 he earned an honorary doctorate from the University of Vienna. Akinian published most of his studies in Handes Amsorya over more than a half century . Many of them were also published in book form. He published more than 40 books related to Armenian medieval literature, Armenian text issues, and Armenian Studies in general. He also compiled catalogues of Armenian manuscripts conserved in collections of Cyprus, Poland, Ukraine, and elsewhere. He discovered and published works by fathers of the Church and various early Christian authors (John Chrysostom, Pseudo-Dionysus the Areopagite, Irenaeus, Ephrem the Syrian, Proclus, and others). Some of his studies on Armenian ancient authors, like Koriun, Movses Khorenatsi, Yeghishe, Ghazar Parpetsi, and others, became controversial due to his penchant to accommodate their texts and chronologies to his views. He passed away on October 28, 1963, in Vienna, leaving more than a dozen unpublished works in the archives of the Mekhitarist Congregation. Nazi Germany had its state-sponsored Kristallnacht (“Crystal Night”) against its Jewish citizens in 1938, and the Turkish government repeated the feat against its Greek, Armenian, and Jewish citizens less than two decades later, on September 6-7, 1955. The riots were orchestrated by an array of Turkish security organizations, both official and clandestine, with the active participation of extreme nationalist groups shepherded by the governing Democratic Party (1950-1960) and government-controlled trade unions. Turkish-Greek relations soured after 1953, when Greek Cypriots began their armed struggle for Enosis , the annexation of Cyprus—under British mandate—by Greece. Greece appealed to the United Nations to demand self-determination for Cyprus in 1954, while Great Britain wanted to solve the dispute without taking it to the U.N. Security Council, and leaned on Turkey to counter Greek claims. An anti-Greek propaganda campaign started in 1955, with the main Turkish newspapers agitating public opinion along nationalist organizations. The British convened a tripartite conference in London with Turkey and Greece (August 29-September 6, 1955), which fell apart when news broke of the bombing of the Turkish consulate in Salonica (Greece), adjacent to the house where Mustafa Kemal Atatürk was born. 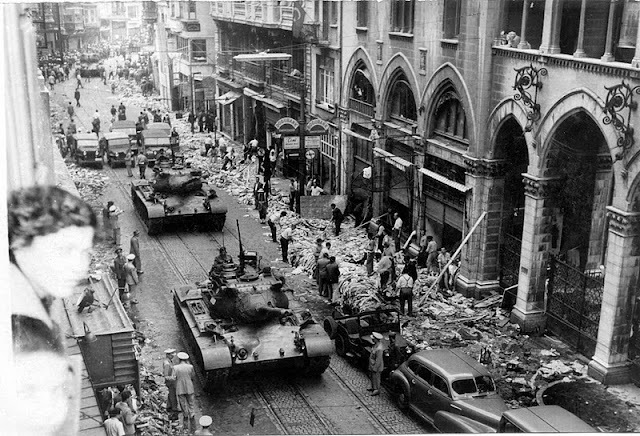 The riots started in Taksim Square by 5 pm, and rippled out through Beyoğlu (Pera) during the evening, with smashing and looting of non-Muslim property. A correspondent for the French daily France-Soir wrote: “Everything happened as if the agitators had divided one by one the neighborhoods of the minorities, even the streets. I followed the arsonists for hours. When they arrived in front of a store, they asked for the owner. When the latter appeared, they asked: ‘Where’s your passport?’ If the owner of the passport was Greek, or even Armenian or Jewish, the looting started. Through the whole night, I heard from this frenzied mob a word that seemed to have been forgotten for a long time, giaour ” ( giaour “infidel”). The police was ordered to hold a passive stance and leave the mob to roam the streets freely. The function of the Turkish militia and police was not to protect the lives and properties of the victims, but to preserve adjacent Turkish properties, except in a few cases where police officers prevented criminal activity. The fire brigade, whenever it reached a fire, claimed that it was unable to deal with it. According to a cable to the U.S. Department of State by the American consul general, “the destruction was ‎completely out of hand with no evidence of police or military attempts to control it. I ‎personally witnessed the looting of many shops while the police stood idly by or cheered on ‎the mob.”‎ The riot died down by midnight with the intervention of the army and the declaration of martial law. On the morning of September 7, a mob overran the İzmir National Park, where an international exhibition was taking place, and burned the Greek pavilion. Next, it completely destroyed the church of Saint Fotini. The homes of the few Greek families and officers were then looted. After the events, a total of 5,000 people were arrested, some nationalist leaders were taken to court, but nobody was convicted. There was an attempt to implicate Turkish Communists in the riots, which fired back. Attempt by Greece to bring the issue to the U.N. and NATO fizzled due to the lenient attitude of Great Britain and the United States towards Turkey within the context of the Cold War. Estimates of the economic cost of the damage varied from the Turkish government's estimate of 69.5 million Turkish liras (equivalent to 24.8 million dollars) to the Greek government's estimate of 500 million dollars. The Turkish government paid 60 million Turkish lira of restitution to those who registered their losses. The pogrom greatly accelerated the emigration of Greeks and Armenians from Turkey. The Greek population of Istanbul decreased from 65,108 to 49,081 between 1955 and 1960. Overall, the Greek population of Turkey declined from 119,822 persons in 1927 to about 7,000 in 1978, and some 2,500 according to current estimates.